Update your casual wardrobe with this go-to top. 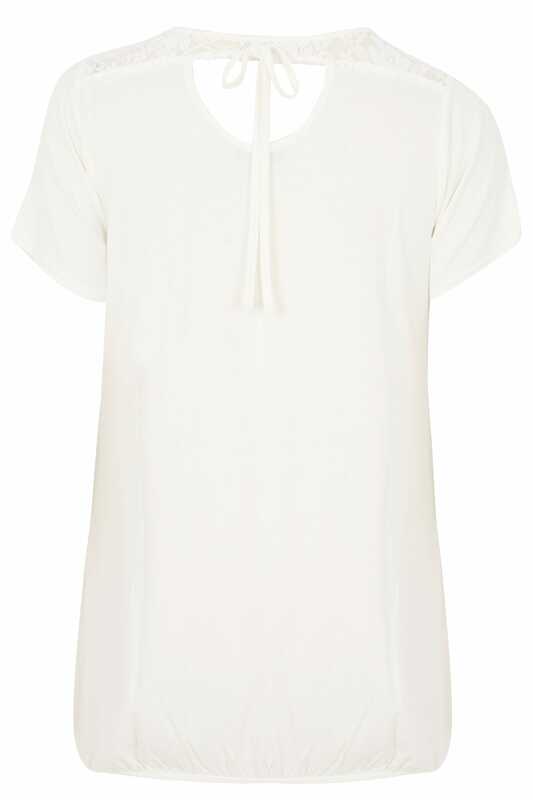 Made from a comfortable jersey fabric with a bubble hem for a great fit, it features a rear cut out with a tie fastening, a simple scoop neckline and short sleeves. For an easy turn-to look, style with denim and a pair of your favourite slip-on flats. 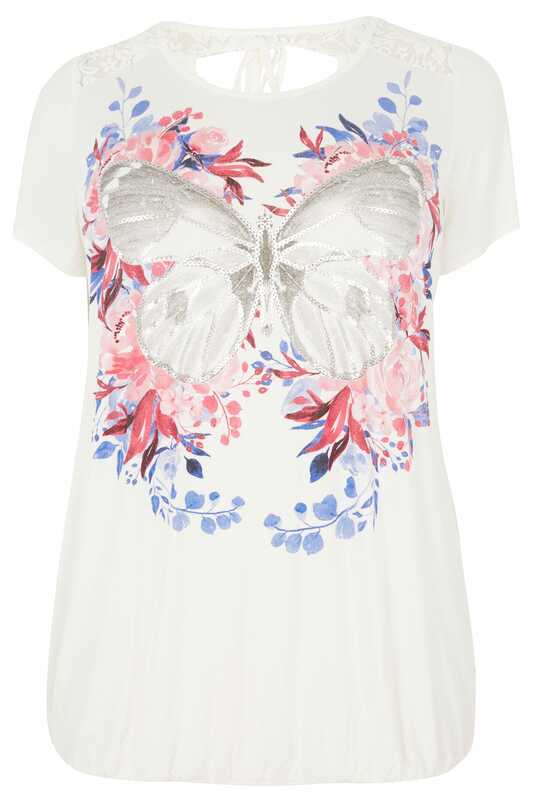 We are loving the pink floral and butterfly print and the lace details across the shoulders and back.